Poets Have a Different Mind or What the Hell Is Wafting Anyway? Hello out there. How've you been? I'm well, thanks. 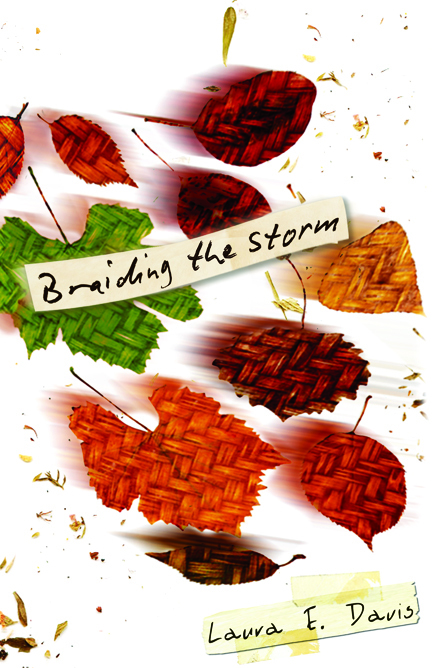 Braiding the Storm is now listed on Amazon. So weird. My life post-chapbook-publication has been many things. Exciting, nerve-wracking, humbling, and joyful. I was a little concerned about some of the content and how it would be received.. Certain family members could be offended. I was feeling very vulnerable. I still am. The next email contained a poem written by my grandmother. She signed it "unknown" but I knew it was hers. 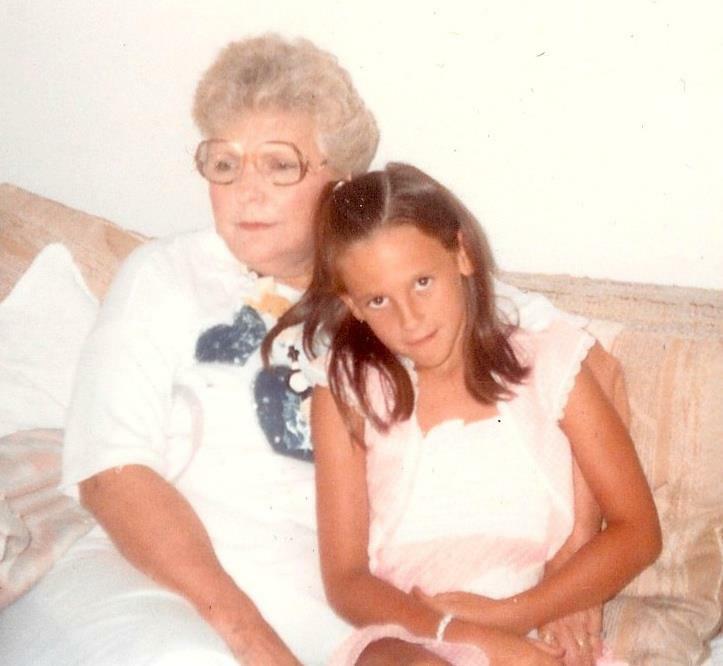 She's a sassy one, my grams. I hope you enjoy it. But where to start?-------I know! from the heart! Poets have a different mind. As "The hawk chased the fox and they both ate some lox"
like the roots of a tree wafting under the ground"
Now just what in the hell is wafting anyway? They think outside the box!! So how can I write a poem to a poet? This is happening. It's really happening. Chapbook Rookie: Something Special, Maybe? 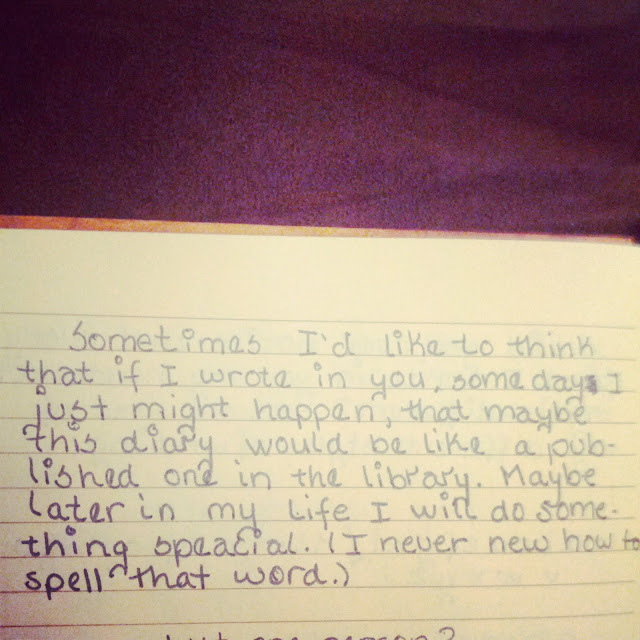 Yes, I did refer to my diary as "you" as though I was talking to a friend. I also trailed off partway through the sentence. But on April, 3 1994 at 12 years, 9 months, and 12 days old, I dreamed up the day when my writing might be published as a book. When I might "do something special." Today, at 31 years, 3 months, and 19 days old, something did occur. Something I did. Something special. Holding my chapbook in my hands is strange. They are sitting next to me on the couch in the Priority Mail box. Sal answered the doorbell when the mail carrier delivered them earlier today, but I didn't hear it due to the white noise blasting through my headphones while I worked. The next thing I knew, Sal was sliding open the pocket door to the office saying something like, "Congrats, published author!" camera in hand, ready to capture the look on my face when I saw the package and realized what was inside. Someday I'll share that picture. Let's just say I was having a bad hair day. I was terrified to open it, but I had no reason to be. 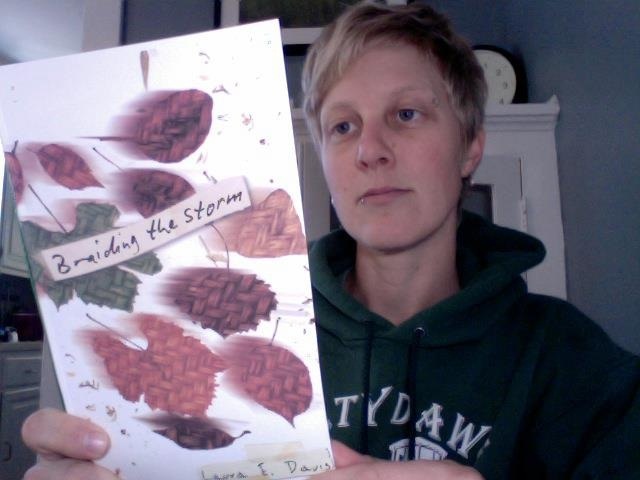 Finishing Line Press produces beautiful chapbooks and my cover artist beautifully illustrated my imaginings. They have a deep brown ribbon and a spine even. I've never seen a chapbook bound this way, but I love it. It's very book-like. At first I didn't know what I was feeling. I didn't really feel anything except overwhelmed, perhaps worried about getting back to work. I've since slid toward a simmering excitement. This is where I am. This is my something special. This slow boil. This 18 1/2 year-old dream come true. 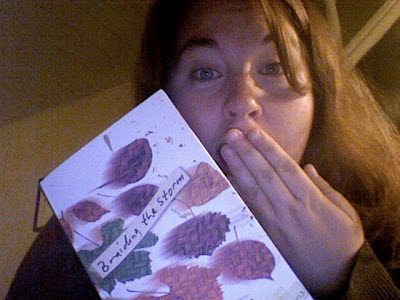 Fall 2012 has been good to me, publication-wise. 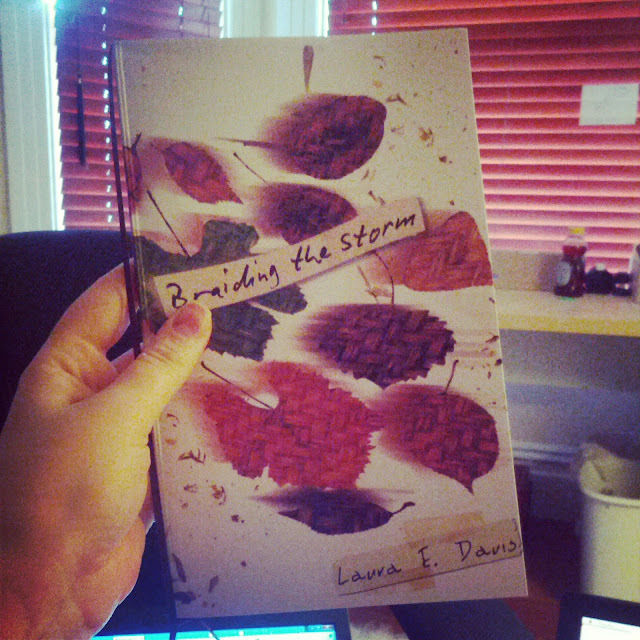 Braiding the Storm is arriving in mailboxes across the country as I type. I'm told my copies will arrive today. I've had a bunch of poems come out online and a few print acceptances. I was interviewed by Sophie Rosenblum about the Submission Bombers over at Better Magazine. Below are excerpts from three of my poems, all of which you can continue reading with just one little click. Enjoy.